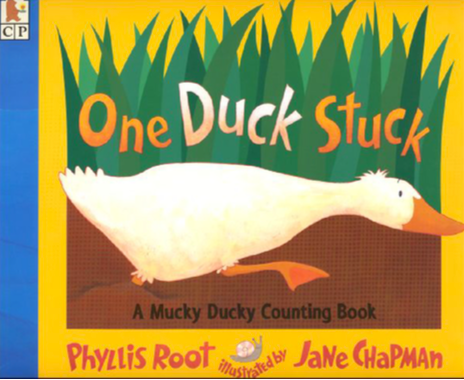 One Duck Stuck tells the story of one unfortunate duck who “gets stuck in the muck, down by the deep green marsh. All of the other animals come in 2s and 3s and mores (all the way from 1-10) to help pull the duck out, to no avail. The poor duck remains trapped until they find the right combination to free his foot from the mud. 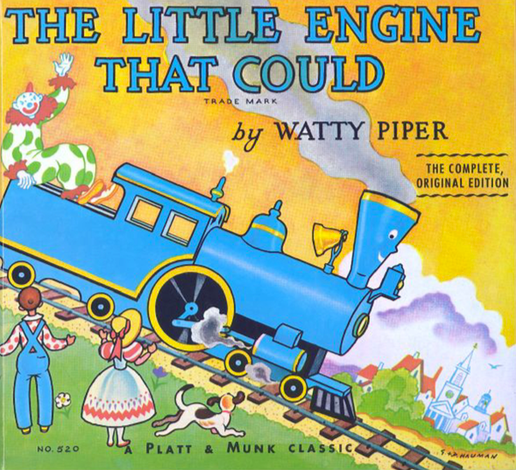 The classic children’s story of a small but determined engine. When a train carrying toys, games, and food bound for little children suddenly comes to a stop and cannot go any farther, the toys search for a kind train to carry them to their destination. Many trains come by, but none are willing to help. Finally, along comes the kind little blue engine. Although she is a very small engine, she is also eager to help and so she agrees to try and pull the toys over the big mountain to the kids. 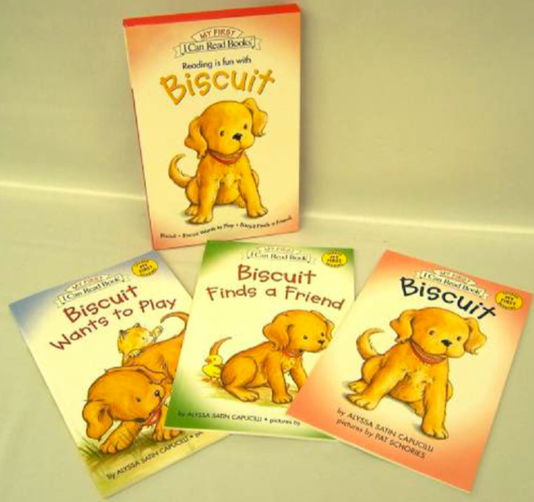 The little puppy’s gentle nature and playful ways have made Biscuit books favorites with over a million children. With three great titles in one handy package, this collection is perfect for the youngest members in your family! 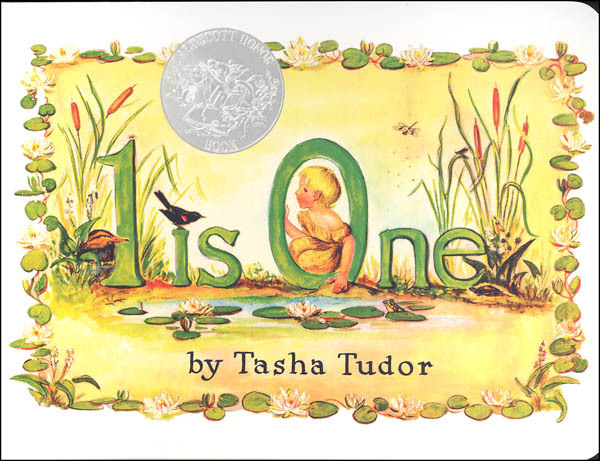 From beloved author-illustrator and Caldecott honoree Tasha Tudor, this sweet counting book is now available as a Classic Board Book! 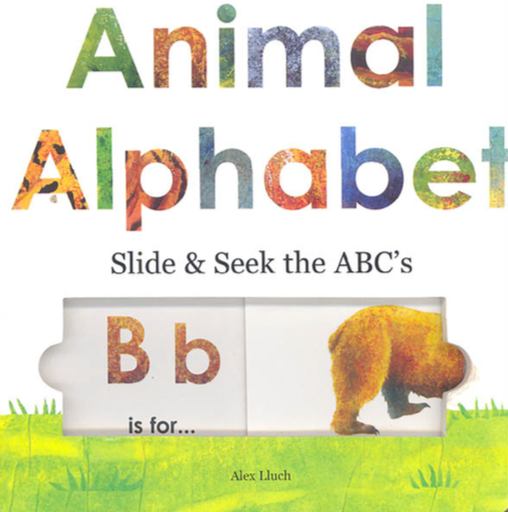 Young ones will delight in the simple text that counts from one to twenty, and theyll be captivated by the charming illustrations of animals, children, and nature. 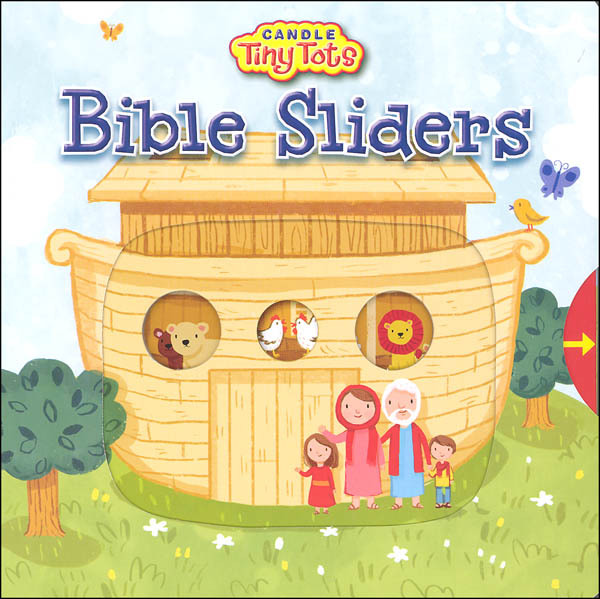 This sturdy and unique board book highlights four Bible stories: Noah and the Ark; Daniel and the Lion’s Den; Psalm 23; and Jesus healing the paralyzed man lowered down by his friends. 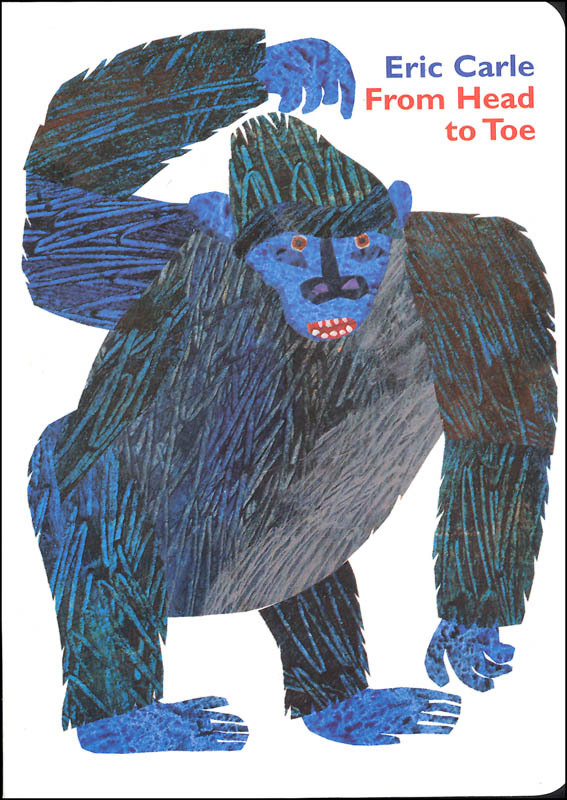 One sentence explains the colorful pictures and then a question triggers the child to move each page’s sturdy sliding portion to reveal the rest of the story. Movements vary from page to page and the answer revealed encourages verbalization and memory skills. 7″ x 7″, 8 pp, board book. When a baby turns one, its like a wake-up call to mom and dad. Toddlers have different play and learning needs now, not to mention abilities. Heres a whole deck of activity ideas designed with a one year old in mind and busy parents! 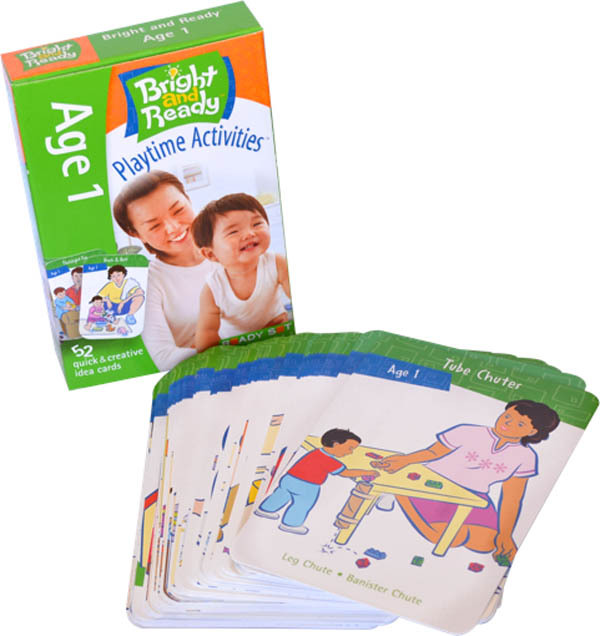 The activities are printed on a set of 52 tote-able, sturdy, colorful wipe-clean cards that feature a multitude of interactive ideas for helping to enhance.! 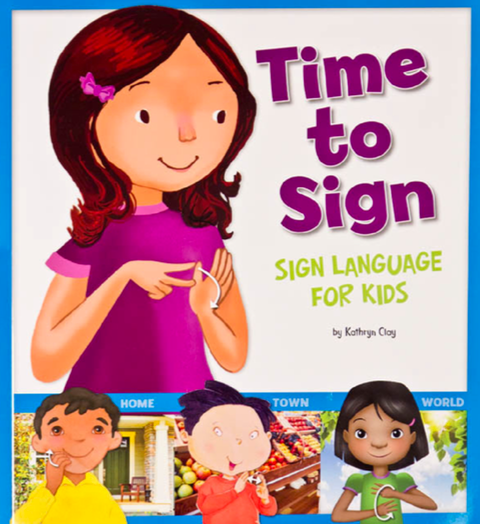 This helpful child-friendly guide teaches the basics of American Sign Language (ASL). Your child will learn hundreds of words and phrases to help them communicate in everyday situations. 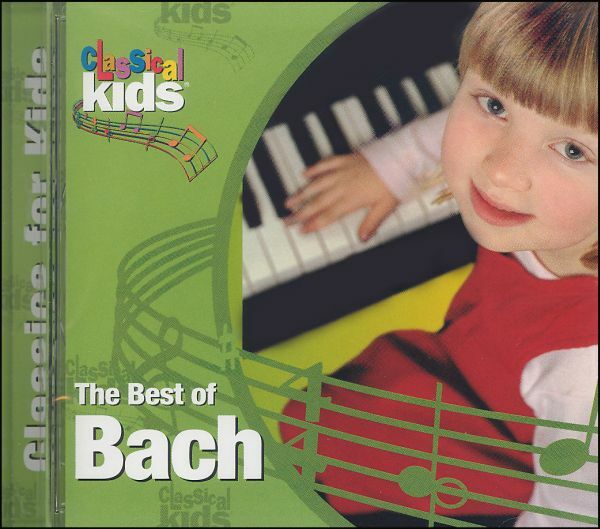 This CD includes 45 minutes of carefully chosen music from a variety of Bach’s work. This would work well as an introduction for young children to classical music or just for listening pleasure anytime. Beautiful hardwood cube features 16 different shapes, each vibrantly painted with bold primary colors. 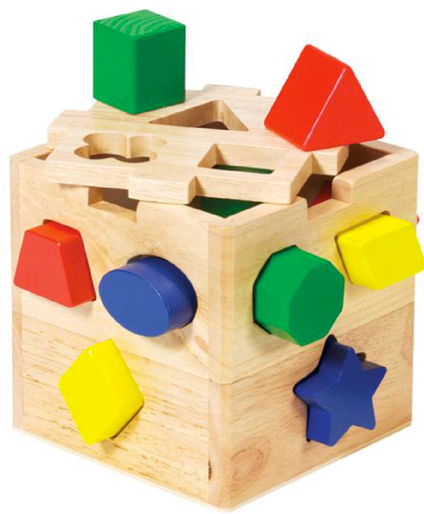 The Shape Sorting Cube is a great tool for teaching early skills such as hand-eye coordination, shape and color recognition, and depth perception. Kids will love the satisfying “clink” the chunky shapes make as they drop into the wooden cube. Then, lift the lid, take the shapes out, and start all over again. This durable 12″ x 9″ wooden puzzle has eight chunky pieces for kids to place onto a colorful background. There are pictures under the pieces so kids know exactly which piece goes where. 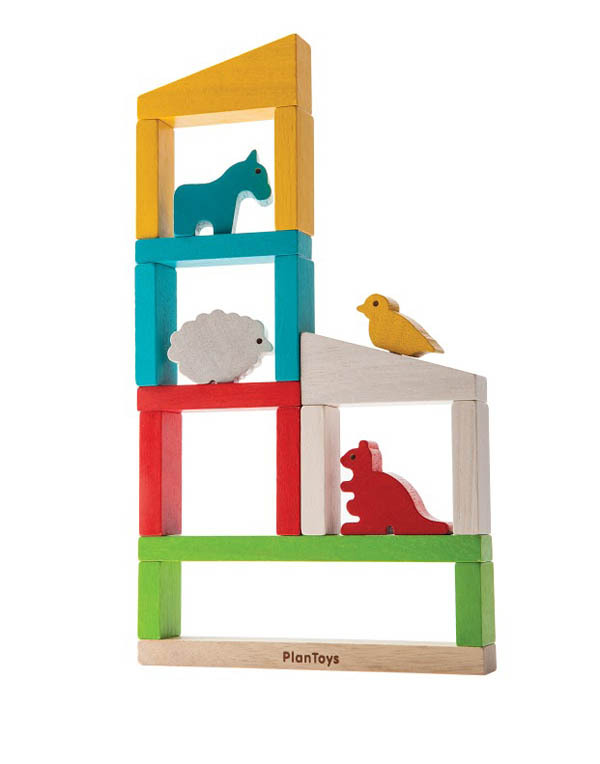 The colorful wooden pieces are over half an inch thick, perfect for little hands. 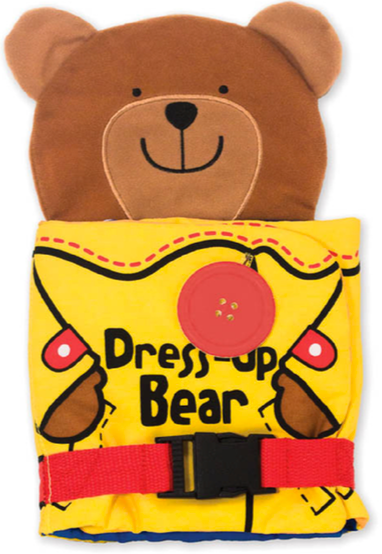 Toddlers will delight in opening and closing the fastenings and peeking in the pockets of this skill-building bear. There are laces to tie, a strap to insert, panels to fold, an extra-large button to fasten, a zipper to zip, and more. This fold-open Dress-Up Bear will be a favorite at playtime–and will stand up to repeated cleanings in the washing machine, too. 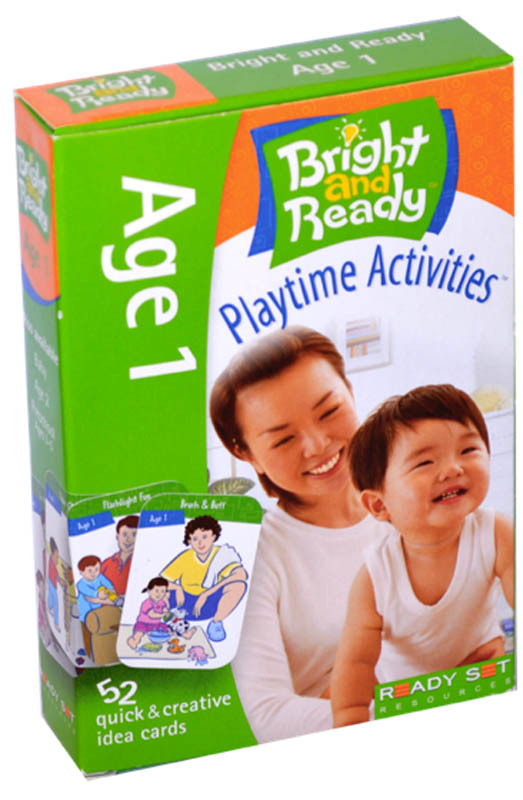 Build a zoo and develop motor skills, color recognition, and counting”simultaneously. The colors of the zoo rooms coordinate with each animal (bird, sheep, horse, kangaroo, and crocodile) so that each one has a home. 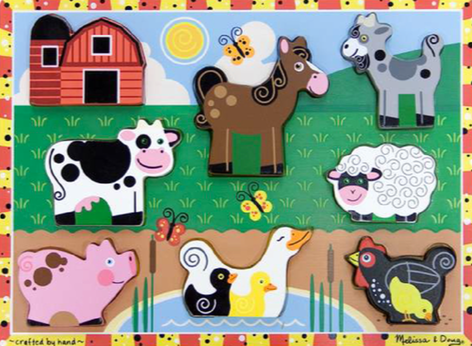 The set includes 16 smooth, stained wooden building pieces and 5 animals. From Plan Toys, these sustainable toys are chemical-free, kiln-dried pieces made from no longer producing rubber trees using water-based, organic dyes and non-formaldehyde glue.